Made from american white oak solids but crafted in the look of a French design the Versailles collection oak sleigh bed frame offers timeless appeal that combines both durability and contempory elegance in the bedroom . 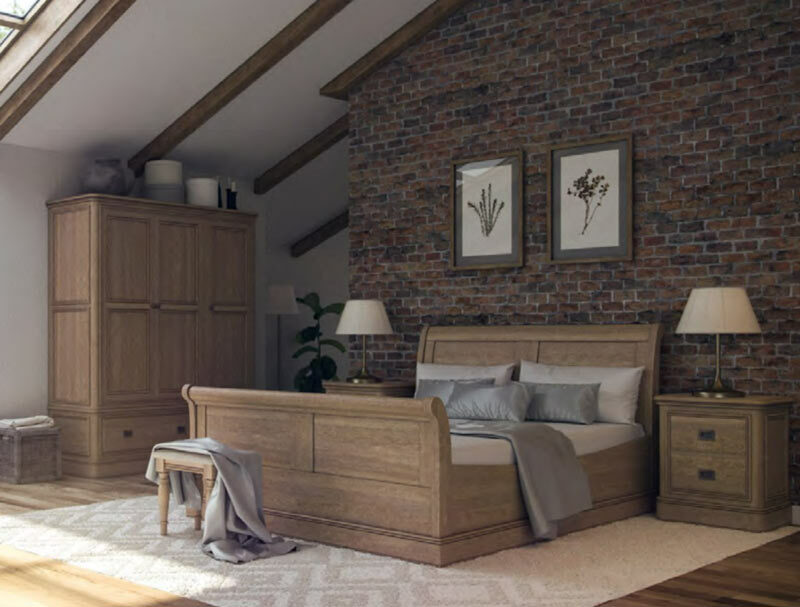 The Versaille bed frame offers a high foot end sleigh bed frame that is available in Double, King or Super king size with solid wooden slats and a range of matching furniture. 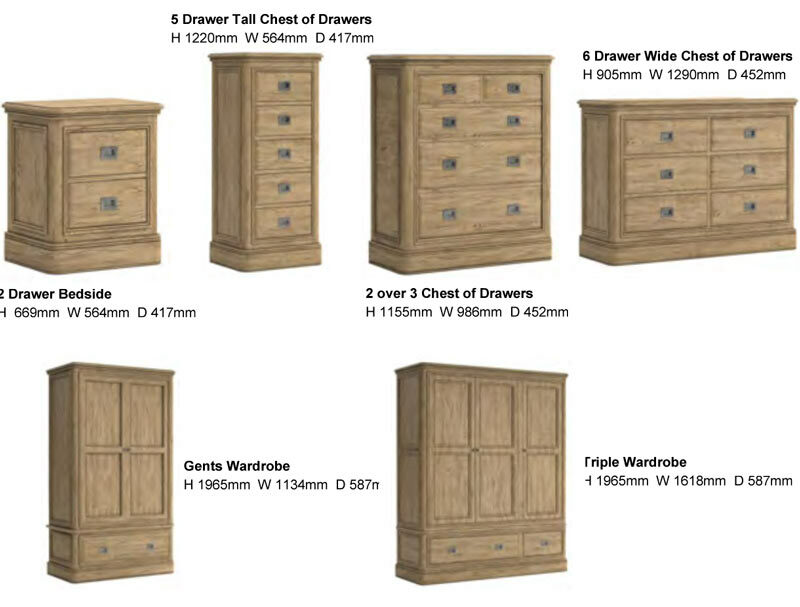 Wardrobes and beds are delivered sectional all other pieces are delivered assembled.